The company not only saves you money, it offers heretofore unknown flexibility. For example, unlike the income-based free government cell phone programs that require you to use one of their refurbished cell phones, Ting offers options. You can choose from its selection of new and refurbished modern smartphones, or if you own an inactive Sprint device, you can switch it over to the Ting network. And unlike most cell phone programs, Ting doesn’t lock you into a long-term contract, doesn’t charge for overages, and perhaps even most remarkable, it allows you to speak to real, live people instead of automated phone robots. Like we said, Ting isn’t free which means it’s might not be right for anyone who relies on a free government cell phone, but absolutely the next thing to free. The company’s rates begin at just $6.00 per month per device. You can get 101-500 voice minutes for a mere $9.00 a month and 101-1000 texts for an additional $5.00 a month. Let’s get specific with this chart from Ting’s website. It shows how Ting allows you to build a program that’s tailored just for you. You only pay for what you use. Instead of offering the kind of inflexible plans offered by other cell phone companies — the kind that tell you how many minutes, how many texts, and how many megabytes you can use each month), Ting will “break your rates out by minutes, text messages and megabytes and bill you at the end of the month for whichever ‘buckets’ you fall into.” The end result? A custom program that fits your usage exactly. Want to know exactly what you’d pay? Pull out your last month’s cell phone bill. Look at it closely and find the exact number of minutes, texts and megabytes you used (those details should be spelled out on your bill), then sit down with this chart and determine what you would have paid if you had been a Ting customer. Odds are you would have had substantial savings with Ting. Of course, you have to pay some minor surcharges in addition to those fees, but the savings are still significant when compared to typical cell phone plans. “That sounds great,” we can hear you saying, “but if I’ll get dinged with a hefty early termination fee if I leave my current cell phone provider before the end of my contract.” No problem. When you sign up for Ting it will give you up to $75 to help pay those early termination fees. The bottom line? You’ll undoubtedly pay less with Ting than you currently pay for your landline or cell phone (unless, of course, you currently participate in Lifeline, the free government cell phone program). One caveat: Before you sign up for Ting, make sure that the Sprint network covers the areas in which you live and work. If it does, you and Ting may just be made for each other. I was on a lifeline cell phone program and was dropped by them because they said I was on a home lineline program and I wasn’t. I followed the guide lines to keep my service running. The company was Qlink. They said I was ineligible for any lifeline program. Now I don’t have any phone services. I need a free lifeline system but can’t find one. Could you find me one? im currently waiting for my free government phone thru assurance wireless but I would like more info about u guys program if u don’t mind..id appreciate it ..how could I switch to u guys?? We don’t have a free phone program — we a re a website dedicated to providing information about companies who do. I had AT&T for almost a decade before I switched to Ting. I went from shelling out over $60 a month with ATT to paying around $30 a month to Ting. 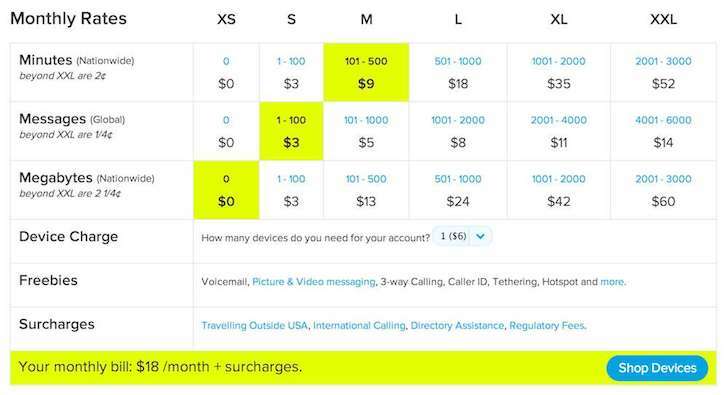 When you think about how much extra you are paying with those contracts to get the “free” phones, it’s definitely worth it to switch over to Ting. Just in the past 12 months I’ve saved around $350 on my monthly bill altogether. how can i get one , does it mail to your house or what is it. I have been a Ting customer for a few months. – Ting seems right for me based on my usage (reasonable minutes and text but MOST IMPORTANTLY limited data as I primarily use WiFi at home and work). Overall would recommend (only downside was buying phone through Ting at a bit of a markup – you can find a Sprint compatible phone else where for cheaper). The contact info is at the end of the article above.